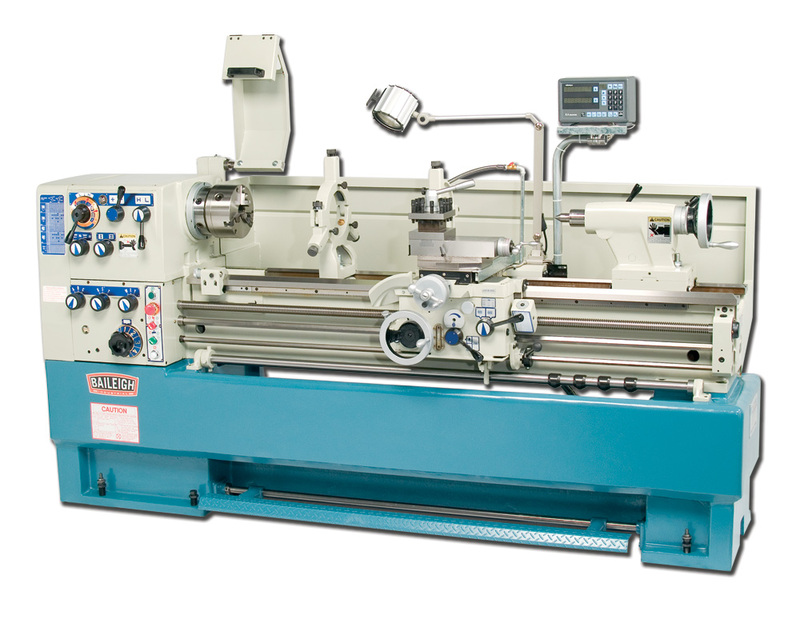 Baileigh's PL-1860 metal lathe is the perfect sized machine for most machine shops with an 18" swing over bed and 60" between centers. A massive Meehanite® casting assures the machinist that this machine will offer decades of quality tolerances. This gear head lathe has a robust transmission with many different speed combinations allowing for speeds between 80 and 2000 RPM. Coupled with a powerful 7-1/2 HP motor turning at max capacity still allows for heavy cuts to be shaved off of the turned part. This allows for better turned surfaces, faster production, and longer tooling life. Like all Baileigh metal lathes this one includes as standard the Mitutoyo® 2 Axis Digital Readout System, 8" 3-Jaw Universal Chuck, 8" Back Plate, Coolant System, Steady Rest, Follow Rest, Headstock Chuck Guard with Micro switch, Micrometer Saddle Stop, Rear Splash Guard, and Halogen Work Light. Thus, there are no other options to include as everything is properly factory installed offering the customer the highest quality finish. 40 / .0012 in-.0252 in/rev. 32 / .0006 in-.0126 in/rev.